for my course we are given a brief and we are to make our garments to match it. mine was 1950’s and I decided to make a modern twist on it. 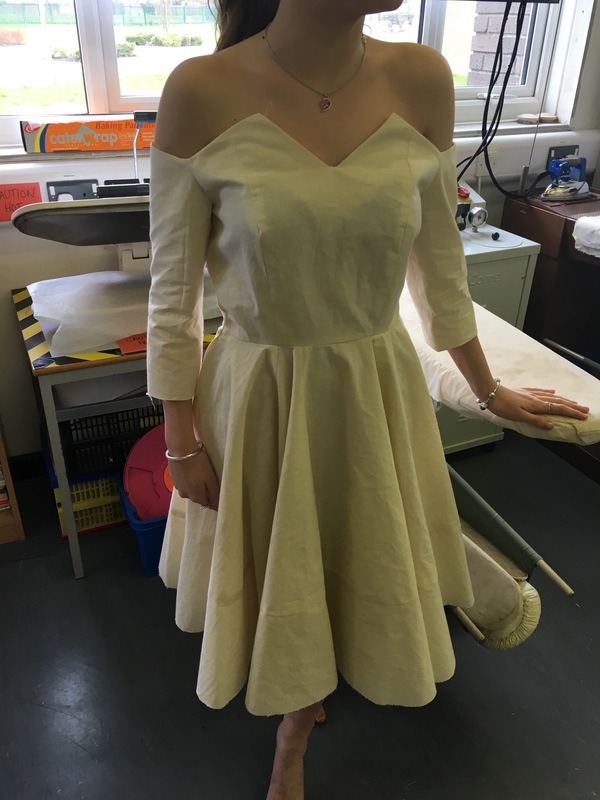 by added the off the shoulder design to a garment automatically makes it more flattering (well I think so anyway lol) so I kept the length that was often important in the 1950’s and turned it into something I would wear now! 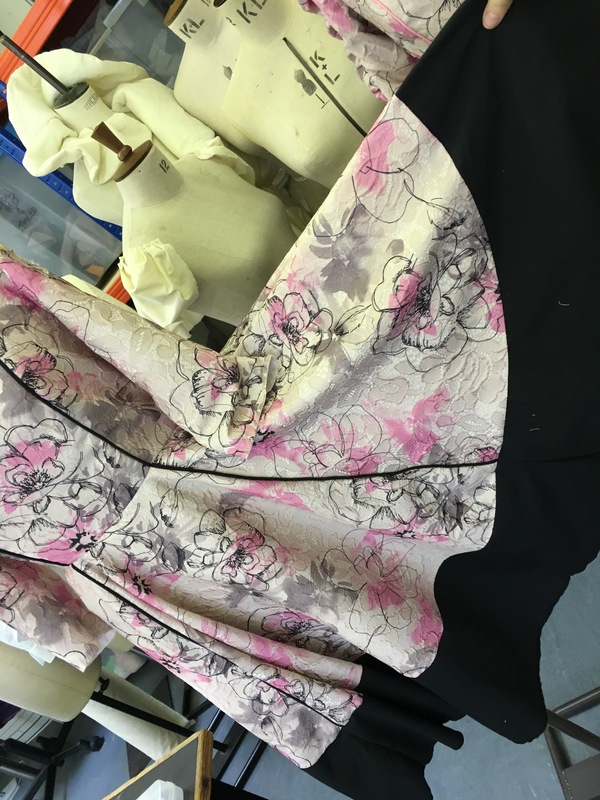 while designing a garment you need to make a version in calico so you can see what works and what doesn’t and make the appropriate alterations. Samantha makes this dress look amazing! My materials were supplied by my tutor and I had to work with them to make it fit with my design. The black panelling and the black piping is all designed to link together to create effect and draw away attention from the (slightly over baring) fabric I was given. would you wear this dress out? Thankyou, I feel like it’s more suited for a special occasion such as a wedding or something similar!